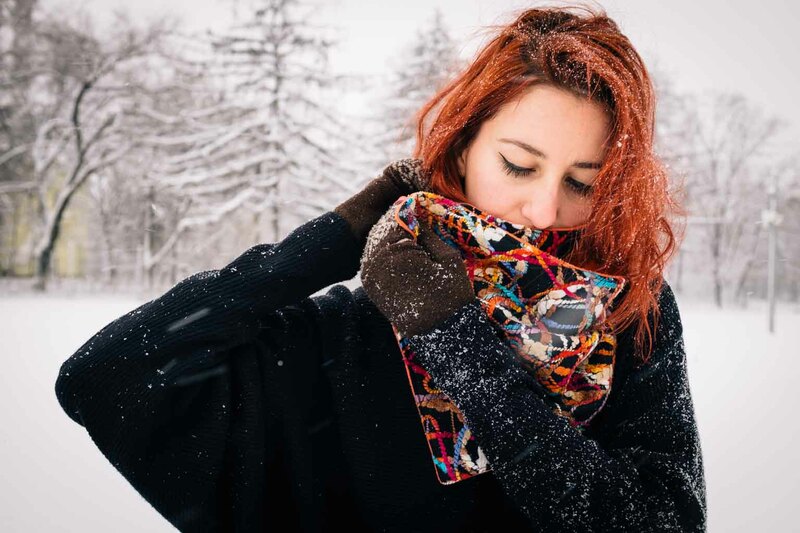 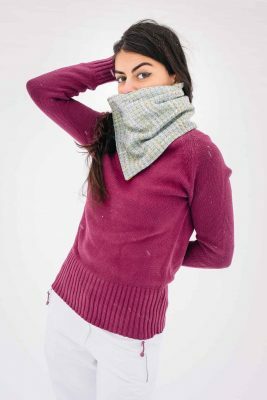 A chic and cosy neck warmer specially designed for people who aren't scared of the cold weather and keep on riding throughout the winter. 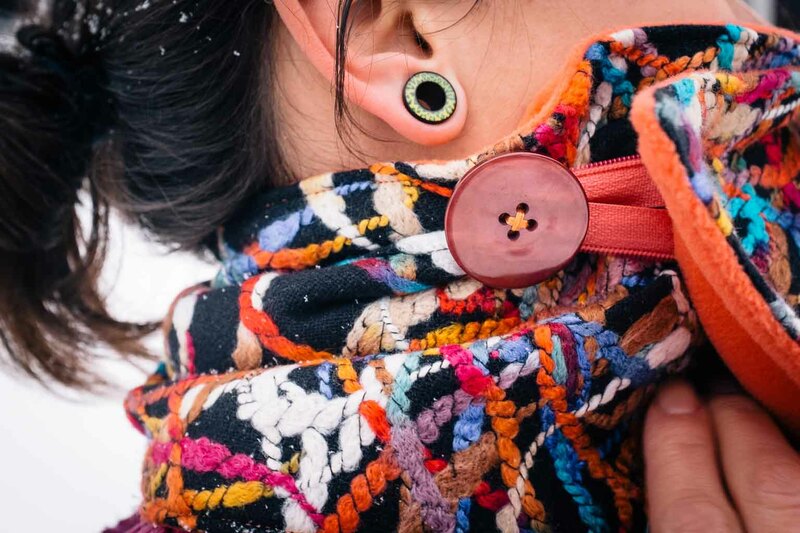 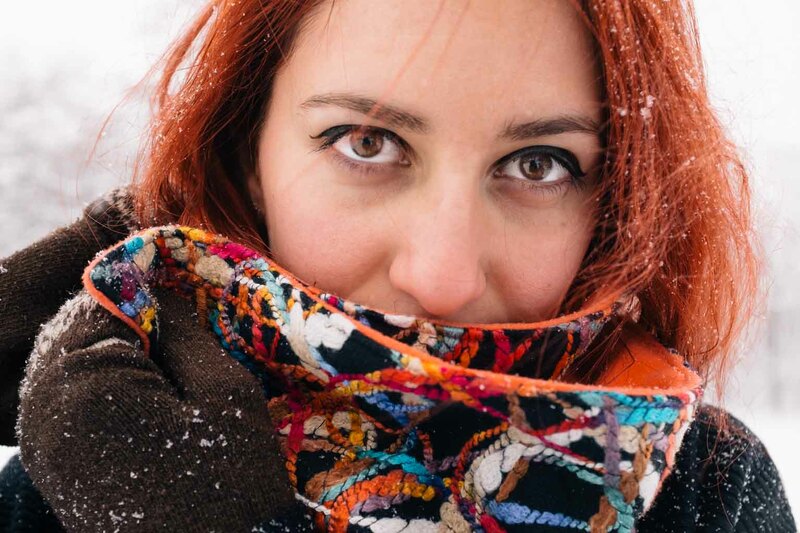 Easily covering your ears, nose and mouth, the neck warmer fixes with a button. 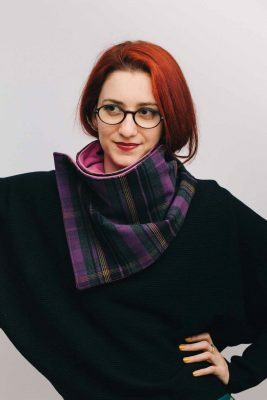 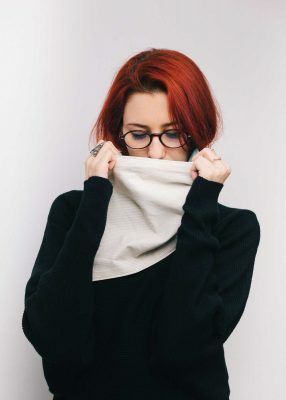 * This neck warmer has a special modern inspired pattern that reminded us of the urban chaos of a big city life.